Gambian leader Yahya Jammeh has rejected the result of the presidential election held earlier this month, a week after admitting defeat. Speaking on state TV, Mr Jammeh cited “abnormalities” in the vote and called for fresh elections. won more than 45% of the vote. Jammeh even conceded defeat on state TV last week, prompting wild celebrations over the ending of Jammeh’s 22-year rule, a government that human-rights groups accused of detaining, torturing and killing opponents. Mr Barrow, a property developer, is due to take office in late January. The fresh announcement Jammeh made on state television on Friday throws the future of the West African country into doubt after the unexpected election results. The Gambia is the smallest country on mainland Africa, with a population of fewer than two million. 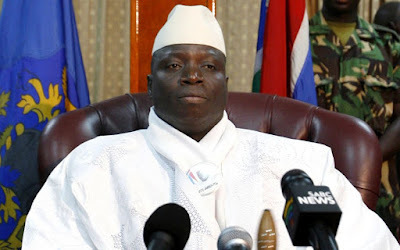 Mr Jammeh said that he now rejected the results of the election “in totality”. “After a thorough investigation, I have decided to reject the outcome of the recent election,” Mr Jammeh said. “I lament serious and unacceptable abnormalities which have reportedly transpired during the electoral process.